Britannia v the American yacht Vigilant in the Solent c.1894. 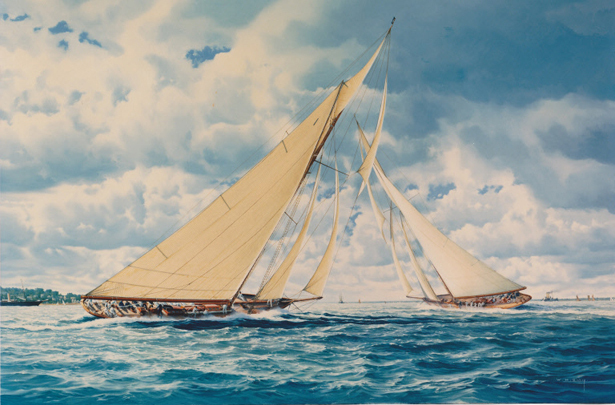 Vigilant was the successful American defender of the 1893 Americas Cup against Lord Dunraven’s Valkyrie II. Designed and built by the Herreshoff Company. She was brought over to Britain in 1894 where she had many close races with the King’s cutter Britannia.